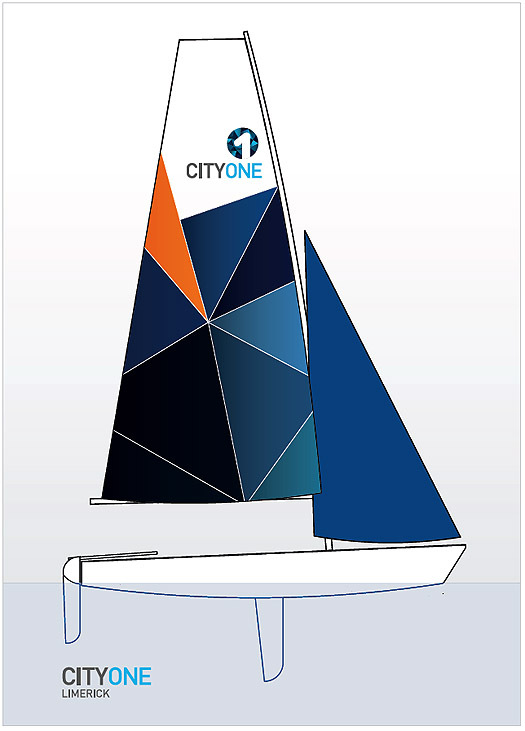 #cityone – A new Irish sailing dinghy design, the LC1, is under construction in Limerick which promoters say will have a 'lively performance but at the same time, the relatively broad beam and inherent stability should mean it is not difficult for the inexperienced. The City One Limerick Dinghy from the AK. Ilen Company is designed for use on the Shannon as it passes through the city and opens into estuary on its way to the Atlantic. The LC1's launch will tie in with celebrations of Limerick's 2014 City of Culture celebrtations. The design of the boat is from the drawing board of Theo Rye. The keel of the LC1 is laid and according to the latest progress reports the keel of the prototype is laid, and within the next few weeks, some of the world's 'finest craftsmen' from New Zealand, North America and elsewhere will be in the Ilen Boat Building School working in conjunction with Limerick's boatmen on the project. The design marries traditional and modern design elements. Most modern dinghies are factory made in fiberglass or plastic. The LC1's hull is specifically for relatively simple construction in timber and plywood with a hard chine and constant radius underside. Many thousands of dinghies of this type were built in the 1950s and 60s, often by amateurs at home. The relative simplicity of the design means no especially difficult boatbuilding skills will be necessary, so the satisfaction of construction is brought into the reach of nearly anyone with enthusiasm and time. 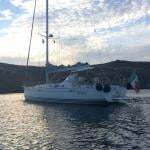 The pride of achievement in helping build a boat and then sailing it will excite and interest children and adults, and there are numerous benefits and educational opportunities associated with this process. The materials specified are reasonably cheap and easy to source. 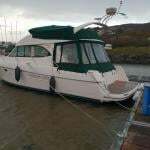 The use of epoxy to coat the timber and fillet the ply together, and the painted finish, will help reduce the maintenance and upkeep often associated with wooden boats, and any repairs necessary should be simple to do as well. The design is also intended to quickly self-drain after righting from a capsize, a feature of many modern designs; "coming up dry" has the benefit of allowing the boats to be left safely on moorings afloat without covers if necessary. The raked stem reflects that this design is not driven by a rating rule;the stem allows the bow to retain buoyancy when driven hard, and it often means a less abrupt stop in the event of a collision, too. 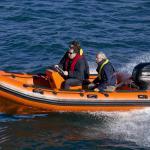 That points to the intention that the boat should be user friendly both for novices as well as more experienced sailors. inherent stability should mean it is not difficult or intimidating for the inexperienced or less confident. The hull shape is intended to be tolerant of crew weight, and allow crews of two, three or even four people, making it a design suitable for teaching sailing with an instructor on board. The high boom and "gnav" mean there is less likelihood of knocking heads with the boom or kicking-strap, and the clear Mylar sails enable good visibility. The size of the jib is such that even relatively small crew members should find it easy to trim, and without a trapeze no special athleticism is required. The simple layout and lack of complexity in the rig should also mean rigging is quick and easy, helping get people onto the water rapidly and easily. The Shannon river has always been central to the history and life of Limerick, and sailing right in the center of the city should reawaken an awareness of its fundamental marine and riverine dimension and perspective. The unique topography of the area brings its own challenges: balancing the need for a relatively generous sail plan to keep the boat moving in the lee of the city buildings with the requirement for a user-friendly and safe boat to sail in relatively confined waters. The confines of the river mean short legs and lots of manoeuvres, so the hull is rockered to enable quick tacks; there is no spinnaker. The design is also intended for safety in less sheltered waters like the lower Shannon estuary. The relatively high freeboard and built in buoyancy should make it safe under reasonable conditions on any stretch of water from sea to lake to river.